Hardaway, a Memphis Democrat, contends the controlling Republican Party gerrymandered district lines in its favor six years ago, costing Democrats seats. Republicans now hold a 73-26 advantage in the House and 28-5 edge in the Senate. With Gov.-elect Bill Lee set to be inaugurated Jan. 19, a week and a half after the 111th General Assembly convenes, Hardaway said the Tennessee Black Caucus of State Legislators will likely “communicate with (Lee) so he understands the need for a fair redistricting process” and see where he stands on the matter. Following the 2020 census, U.S. House and Senate districts, as well as Tennessee congressional districts, will be redrawn based on the population. The legislative group could run into a wall, though, with Lee and Republicans. “A lot of the problems we have in D.C. and a lot of the problems we’ve had in the Tennessee General Assembly have been the result of extreme redistricting, and it makes it politically impossible for some of my colleagues to be able to compromise and come to a meeting of the minds, right or left of center,” Hardaway said. On the contrary, Republican leaders have said Democrats who controlled the Legislature for a century drew district lines to suit their needs and that the plan adopted in 2012 was the fairest Tennessee has ever had. They say public input was taken, and the Senate and House took each other’s plan and collaborated for the drawing of congressional district lines. Glen Casada, Republican House speaker-nominee, said if Democrats had a problem with the redistricting plan in 2012, “there sure was no one complaining.” Instead of a “blanket accusation,” he said he wanted to know specifics from Hardaway. The redistricting plan was barely challenged from a legal standpoint. Lt. Gov. Randy McNally, an Oak Ridge Republican, responded by calling the last redistricting process “one of the most open and transparent” in Tennessee history. But former House Minority Leader Craig Fitzhugh, a Ripley Democrat who ran for governor this year and left his legislative seat, said there is no question the districts were rigged by putting Democrats into a few slots where they would be guaranteed a win and creating more Republican districts where they would have little opposition. Either a citizen redistricting commission is needed to redraw the district map or Democrats need more numbers to “even it out,” Fitzhugh said. State Rep. Jim Coley, a 12-year Republican legislator from Bartlett, said the Legislature followed required guidelines for drawing districts to reflect ethnic and racial makeup of the districts, as well as population. “All I know is the districts, the Republican districts in Shelby County when we drew those, we were given certain parameters in which we had to make a decision about the drawing of the lines, and we stayed within those parameters,” Coley said. He added one of the keys to drawing new district lines is making sure the plan isn’t challenged in court. Coley acknowledged it will be interesting to see how Democrats in the Legislature approach the matter. “The Democrats have got a job cut out for them because the state is so red,” he said. Senate Minority Leader Jeff Yarbro, a Nashville Democrat, has sponsored legislation several times requiring a third-party redistricting plan to combat gerrymandering. Yarbro said gerrymandering is bad for elected leaders, voters and the government, yet it is difficult for politicians who wield control to avoid giving themselves an advantage at the polls. Hardaway, who played a role in offering redistricting alternatives to Republican plans in 2011-12, backs his assertions, saying the process wasn’t fair in terms of having “adequate resources” to counter the controlling party. Democrats “were hampered,” he said, because they had to share attorneys with the majority party and didn’t have access to mapping and data experts. With better legal resources, Hardaway said, Democrats could have waged “an effective legal challenge” to the House redistricting plan as a violation of the 1965 Voting Rights Act. Specifically, Hardaway said, his former House District 92 residence was drawn into the district of District 86 Rep. Barbara Cooper, a Memphis Democrat, requiring him to find an alternative legislative seat. Hardaway contends Democrats should have maintained their number of House seats in Shelby County and should have picked up two more that would have been primarily African-American districts. On the Senate side, he said, an additional district comprised mainly of African-Americans could have been created in Shelby County as well as in Hamilton County. Casada, though, didn’t buy Hardaway’s argument and said population and shifts over a decade dictate the boundaries of House and Senate seats. “Just because you’re an incumbent and your district loses population, we’re not going to show favoritism,” he said. Legislative power brokers across the country have long designed district lines in back-room deals that entrenched their control for years, if not decades. But now, Democratic lawmakers in New Jersey are carrying out a power grab in an unusually public fashion: They are seeking to make Republicans a permanent minority by essentially writing gerrymandering into the State Constitution. The New Jersey plan comes amid a national reckoning over the consequences of gerrymandering and has been met by fierce opposition across the political landscape — and not just from Republicans and nonpartisan watchdog groups. Even some national Democratic leaders have criticized the plan, fearing that it undercuts Democratic efforts to attack what they term Republican strong-arm tactics in state capitals across the country. 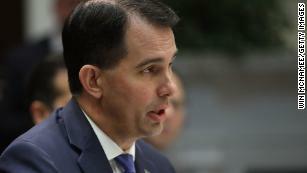 Republicans in Wisconsin and Michigan are facing an intense backlash after state legislatures there voted to strip power from newly elected Democratic governors. Republicans have also come under fire for legislative gerrymandering in states like North Carolina. Eric H. Holder Jr., a former attorney general under President Barack Obama and a potential presidential candidate in 2020, called on the Democratic lawmakers in the New Jersey Legislature, who have significant majorities in both chambers, to rethink their plan. Mr. Holder leads the National Democratic Redistricting Committee, a political group seeking to untangle gerrymandered districts that have helped Republicans hold power in Washington and elsewhere. “The American people want redistricting reforms that help level the playing field so that elections are decided on who has the best ideas, not which party was in charge of drawing the lines,” Mr. Holder said in a statement. The Democratic lawmakers’ proposal would amend the New Jersey Constitution, and New Jersey voters would need to approve it through a ballot measure. It overhauls the makeup of a redistricting committee to give more power to legislative leaders. It also establishes a “fairness test” requiring district maps to reflect how major political parties perform in statewide elections for governor, senator and president. Proponents of the plan, Stephen M. Sweeney, the Senate president, and Nicholas P. Scutari, a co-sponsor of the bill, argue that the redistricting process is too often conducted behind closed doors by unelected officials and where deals are hashed out without any voter input. By putting their plan before the electorate, supporters argue, New Jersey Democrats are letting voters decide how redistricting should be done. At two separate hearings on Thursday in Trenton, over 100 people testified against the proposal. The sole note of support in the Senate came from Mr. Scutari. Democratic leaders are turning to an obscure legislative maneuver just to try to put the proposal on the ballot. Typically, a proposed constitutional amendment requires a three-fifths majority in the state legislature before it can get on the ballot. But since no Republican supports the redistricting plan, it seems unlikely that it would ever succeed in either chamber in Trenton. Instead, Democratic leaders are digging into the state’s laws and using a provision allowing an amendment that passes the state legislature with a simple majority in two consecutive calendar years to be placed on the ballot. Democrats have scheduled a vote on the redistricting plan for Monday, the final day the legislature is to meet this year. Then they are likely to bring it up again in early January, satisfying the two-year requirement in less than a month. Should the measure pass in both instances, the proposal could be put on the ballot in November. The quick procedural move, in particular, has provoked an outcry, including from Gov. Philip D. Murphy. Though Mr. Murphy is a Democrat, the redistricting plan would greatly weaken his ability to influence the process. The plan makes significant changes to the way the state’s redistricting commission is established. Currently, the Republican and Democratic state party chairs each nominate five people to the redistricting board, and the state Supreme Court selects someone to serve as the tiebreaker. Mr. Murphy is closely allied with the chairman of the Democratic state party, John Currie, giving the governor sway over some of the commission’s members. The redistricting plan would increase the size of the commission by two members, to 13, and state party chairs would only be allowed two nominees each. The Senate president, Senate minority leader, Assembly speaker and Assembly minority leader would each get to nominate two members, at least one of which must be a state legislator. The notion of including legislators on panels that draw legislative districts runs counter to what many advocates for redistricting reform are demanding and the approach that other states are taking. But the main criticism of New Jersey’s plan centers on setting the benchmark for drawing districts based on statewide election results. The proposal says that at least 25 percent of legislative districts must be “competitive,” meaning that they must be within five percentage points of the statewide average based on the results for president, senator and governor in the past decade. That formula would likely result in a Democratic statewide advantage of 55 percent, according to a study by the Princeton Gerrymandering Project at Princeton University. In effect, competitive districts could still have Democratic majorities of as much as 60 percent. “The map becomes permanently slanted,’’ said Patrick Murray, the director of polling at Monmouth University. He noted that of the state’s 40 legislative districts, at least 25 would have to be majority Democratic under the redistricting proposal. The proposal also creates the possibility that Democrats could redraw competitive districts around safe incumbents who have enough support that they would win even with more Republicans added to their district. Party leaders could then add more Democrats to weaker districts. A growing backlash against the redistricting plan has left the fate of the proposal unclear with just a thin margin of support among Democrats in the Senate. In an effort to reduce the role of partisan bias in congressional district mapping and return power to the American voters, Congressman Jerry McNerney (CA-09) has introduced legislation to establish a set of standards centered on scientific and mathematical techniques. The Fair and Inclusive Redistricting (FAIR) Map Act, H.R 7252, would direct the National Academy of Sciences to conduct a study to develop guidelines, best practices and examples for congressional redistricting. The Academy’s recommendations would also have to maintain geographic contiguity, compactness, and comply with the constitutional equal population requirement as well as the Voting Rights Act of 1965. Gerrymandering, which is the manipulation of district boundaries to favor a particular political party, has become a high-profile issue in recent years, with legal challenges arising in a number of states. This past election, voters took action to try and curb gerrymandering, with three states voting to take the power of redistricting out of the hands of their state legislators. McNerney has long been a staunch advocate for evidence-based policymaking and good government reforms. As the co-founder and co-chair of the Bipartisan Campaign Finance Reform Caucus, he has introduced legislation to amend the constitution to eliminate political action committees and ban dark money in politics. McNerney serves the constituents of California’s 9th Congressional District that includes portions of San Joaquin, Contra Costa, and Sacramento counties. For more information on McNerney’s work, follow him on Facebook and on Twitter @RepMcNerney. WASHINGTON — The Supreme Court has temporarily punted a decision over whether to take up a case involving partisan gerrymandering in North Carolina. On Friday, the justices were scheduled to meet behind closed doors to discuss an appeal filed by voting rights groups in North Carolina who challenged the state’s 2016 congressional maps, claiming they were unconstitutionally drawn by Republican lawmakers to suppress statewide gains by Democrats. The case, Rucho v. Common Cause, was one of dozens of cases scheduled for review Friday by the justices. On Monday, however, it was absent from the court’s list of accepted and rejected cases stemming from its Friday conference. It’s unclear why: The court offered no explanation. But it’s possible the justices may consider picking up the case again later this term, perhaps after the justices reconvene in early January. Last term, the court failed to issue a ruling over the constitutionality of partisan gerrymandering in a case involving Wisconsin’s congressional map. The court voted unanimously to send the case back to a lower court over a technicality but left open the possibility of reviewing the issue again. In November, the court agreed to hear a case involving racial gerrymandering in Virginia but has so far not taken up partisan gerrymandering this term. NEWTOWN, PA — The Council Rock School Board is scheduled to vote on a redistricting plan during a meeting Thursday, Dec. 13. The meeting starts at 7:30 p.m. The vote will be the culmination of more than a year of analysis by the district on the issue of redistricting, which is being considered to better balance the north and south regions of the district. During a lengthy school board meeting in late November, the board discussed and received public feedback on the latest proposal, which impacts 719 elementary students. Not surprisingly, the current redistricting map has been opposed by some local parents, who launched a petition against the proposal, which they called "too disruptive." During a Dec. 6 Facilities Committee meeting, several issues related to the redistricting process were discussed, including if Richboro Elementary can be shifted to a North-feeding school. According to information from the facilities committee, such a proposition is not recommended because it will flip the imbalance of students from the South to the North. The redistricting committee discussed flipping RES at the January 16, 2018 meeting and determined that it would not enable them to balance secondary, the meeting notes said. Additional issues that were discussed at the Dec. 6 meeting can be found here. In November, 381,000 more Pennsylvania voters picked a Democrat than a Republican to represent them in the state House. But Republicans will keep their majority. You could blame geography — the idea being that Democrats are more likely to live in dense urban areas and so run up higher vote totals in uncompetitive races. You could point to the number of uncontested races in which Republicans didn’t field a candidate. You could dismiss this type of statewide comparison, reasoning that it’s the individual candidates, not a party, who voters chose to represent them in the General Assembly. Or you could blame gerrymandering — the drawing of districts to favor one party. Carol Kuniholm, co-founder of Fair Districts PA, does. “There’s gerrymandered state legislative districts. We’ve known that. It’s becoming more obvious and needs to be changed,” Kuniholm said. She said Pennsylvania ranks high for the disparity in legislative votes received vs. legislative seats won. The disparity helps show why it so difficult for Democrats to gain control of the Pennsylvania General Assembly, and that same disparity could influence lawmakers in a looming fight over congressional and state legislative redistricting. There has been a lot of talk in Harrisburg about changing the redistricting process. During a 2017 forum, Democratic Gov. Tom Wolf pointed to gerrymandering and unfair maps when asked why Democrats and “pro-choice” lawmakers don’t have more power in the General Assembly. Earlier this year, the state Supreme Court tossed out the map used to elect members of Congress as a partisan gerrymander. But the maps for state House and state Senate, which were approved by the state Supreme Court in 2013 after a legal battle, remained in place. Meanwhile, redistricting fights have taken place all over the country this year. The Washington Post recently pointed to the discrepancy between votes won and seats held in Wisconsin as a sign of gerrymandering in that state. PA Post added up the total votes and seats won in Pennsylvania’s state House, state Senate and congressional races this year, based on unofficial returns. The state House had the largest discrepancy in the 2018 election. Here’s a look at all three. In the November election, all 203 state House seats were up for grabs. In the interactive map below, you can see how many votes the Republican and Democratic candidates received in each district. But their share of state House seats is significantly lower than the percentage of votes they received. Democrats won 93 out of 203 seats, or about 45.8 percent of the seats up for grabs. If their statewide vote share matched the percentage of seats won, they would have about 110 seats — a majority — in the upcoming session. Instead, Republicans won 110 seats. Jason Gottesman, a spokesman for the state GOP, said there a lot of factors when it comes to votes received vs. seats won, and he said Republican state legislative candidates do a good job of creating their own brand and speaking to local issues. Neal Lesher, a spokesman for Republican House Speaker Mike Turzai, dismissed the statewide comparison. Lesher said Democrats had more uncontested candidates, including in Philadelphia. “Trying to apply statewide numbers to legislative races has many down falls and does not lead to any legitimate conclusions,” he said in an email. But Kuniholm, with Fair Districts PA, thinks the large number of uncontested races is one result of gerrymandering. She said some districts are going to be naturally uncompetitive. “But there are lots of districts that were created very deliberately to pack Democrats into one district, or to carve communities up to give the Republicans an advantage,” Kuniholm said. Democrats, meanwhile, say the statewide comparison matters. In the Pennsylvania state Senate, half of the chamber’s 50 seats were up for grabs in the November 2016 election. Democratic candidates received 46.4 percent of the two-party vote. But they won nine out of 25 seats, or 36 percent. If they had won two or three more seats, that would have been a closer match for their statewide vote percentage. Half of the chamber’s 50 seats were again up for grabs this November. Democratic candidates received 54.2 percent of the two-party vote. And they won 12 out of 25 seats, or 48 percent. If they had won one more seat, which they came about 75 votes away from doing in one Bucks County district, they would have still been under their share of the two party-vote. If they had won two more seats, they would have exceeded their share of the two party-vote. In the upcoming session, Republicans are poised to have 29 seats to the Democrats 21 seats, although a special election is expected for a southwestern Pennsylvania seat, and Republican leaders have raised doubts about the eligibility for one Allegheny County Democrat. In the interactive map below, light blue represents seats that flipped from Republican to Democrat in the November election. Dark blue and dark red represent Democratic and Republican seats. Two years ago, all 18 of Pennsylvania’s congressional districts were up for grabs. Democrats won 45.9 percent of the statewide two-party vote. They won five out of 18 seats — less than 28 percent. Earlier this year, the state Supreme Court tossed out the congressional map as a partisan gerrymander that favored Republicans. The court created its own map. Democrats made big gains, winning 55.1 percent of the two-party vote. They won nine out of 18 seats. If they had won 10 seats, that would have been a little higher than their total vote share. In the interactive map below, you can see what the new representation for Congress in Pennsylvania will look like. We included vote totals for candidates who were unopposed in their races. In four state House races, there was a candidate who appeared as both the Democratic and Republican nominee. Those candidates won their party’s nomination in the primary and also received enough write-in votes to appear as the nominee for the other major party. In those cases, we based the analysis on the candidate’s party registration. We did the same for state Senate candidates who appeared as both the Republican and Democratic nominee in 2016. Why only count two-party vote share? Independents and non-major party candidates, including the Libertarians and Greens, didn’t pick up any seats and received a relatively small percentage of the vote. In the congressional races, for instance, two Libertarian candidates received 10,950 votes compared to the more than 2.7 million for Democratic candidates and more than 2.2 million for Republican candidates. Wolf recently announced the creation of a commission to make recommendations for changing the redistricting process. Republican leaders in the state House and Senate accused of him grandstanding. Meanwhile, some lawmakers are hoping to move forward on legislation that would create a citizens’ commission for redistricting. The next redistricting process is set to take place in 2021. Democrats hold the governor’s office and now hold a 5-2 majority on the state Supreme Court, so they are expecting to be in a better position for redistricting than in past years. Under the current system, congressional districts are approved by the General Assembly with the governor able to veto them. State legislative maps are approved by a five-member Legislative Reapportionment Commission. Washington (CNN)The Supreme Court is scheduled to return to a deeply divisive issue on Friday when the justices meet behind closed doors to discuss an issue left unresolved last term: when do states go too far in drawing district lines for partisan gain? Democrats have drawn the political map in Illinois to their advantage, clearly. The final vote totals for the Nov. 6 midterm elections released Monday by the Illinois State Board of Elections show that Democrats won 61 percent of the votes cast in U.S. House races in the state, yet they won 72 percent of the seats — 13 out of 18, instead of the 11 out of 18 that would have almost exactly reflected the Democrats’ share of the vote. One reading of that result is that the way Democrats drew the congressional district boundaries gave the party two more seats than a “fair map” would have entitled them to. All 118 seats in the Illinois House of Representatives were up for election this year (as they are every two years) and Democrats won 62 percent of those seats with 59.8 percent of the overall popular vote. Though these overall totals are somewhat skewed because 42 Democrats and 12 Republicans ran unopposed or with just token opposition, they’re very close to the percentage split seen in the aggregate vote for all statewide offices (governor, attorney general and so on) which went 59 percent for the Democratic candidates. One reading of that result is that the way Democrats drew the boundaries gave the party four more seats in the House than a “fair map” would have entitled them to. And yes, these results at least slightly offend the ideals of representative democracy. But, in context, are they outrageous? In the Wisconsin midterm elections, Republicans won just 46 percent of the overall popular vote for the U.S. House, but 63 percent of the seats — 5 out of 8. The weekly Isthmus newspaper based in Madison reports that Democrats won 54 percent of the popular vote for Wisconsin State Assembly but, due to the Republican-friendly map, only 36 percent of the seats. In the Ohio midterm elections, Republicans won 52 percent of the overall popular vote for the U.S. House, but 75 percent of the seats — 12 out of 16. The Cleveland Plain Dealer reports that Republicans won 50 percent of the popular vote in state House elections, but 63 percent of the seats. In the North Carolina midterm elections, Republicans won 50 percent of the overall popular vote for the U.S. House, but 77 percent of the seats — 10 out of 13 — though one apparent Republican victory has yet to be certified due to allegations of fraud. The Washington Post reports that North Carolina Democrats won 51 percent of the popular vote in state House elections, but just 45 percent of the seats. In the Texas midterm elections, Republicans won 50 percent of the overall popular vote for the U.S. House, but 64 percent of the seats — 23 out of 36. Democrats in Maryland won 65 percent of the popular vote for U.S. House but 88 percent of the seats — 7 of 8, while California Democrats turned a 66 percent victory in the overall U.S. House vote into an 87 percent victory (46 to 7) in the races for seats. I will not go through every state — where an analysis of the midterm results by the Washington-based Hill newspaper shows gerrymandering cost the Democrats a total of seven U.S. House seats — but the short answer is: No, Illinois’ results aren’t outrageously skewed, at least not by the low standards set by partisan mapmakers coast to coast. Scott Kennedy, proprietor of the independent, numbers-rich Illinois Elections Datawebsite and a Democratic operative, says the “impact of the map is overblown” by many political analysts in Illinois. “Other factors like candidate recruitment, candidate quality, campaign quality and financial means are far more relevant for explaining why the Democrats have significantly outperformed Republicans,” he said. Majorities of voters routinely tell pollsters that they want bipartisan or nonpartisan control of political mapmaking in order to diminish the impact of gerrymandering. And incoming Democratic Gov. J.B. Pritzker, like outgoing Republican Gov. Bruce Rauner, sayshe wants to implement just such a change. My advice to Pritzker and other left-leaning self-styled reformers: Don’t unilaterally disarm. Strike a deal to hold hands and jump together with Wisconsin, North Carolina or other states where Republicans have drawn district boundaries to their advantage. Sure, it’s noble to try to set a good example, but your foes have proven themselves ruthless, and if you don’t cut a deal, you’re likely simply to lose power in the long run. Rather than go it alone, lead a crusade for a national overhaul of election laws to ban partisan considerations in political mapmaking and, while we’re at it, to set uniform standards for registration, early and absentee voting, voter eligibility, ballot design, vote counting and poll access. Think big. The “blue map” in Illinois is a small problem. A new redistricting commission is expected to decide in the next three years which part of Michigan will lose a U.S. House seat as it considers how to redraw political boundaries statewide. The Constitution requires that seats in the U.S. House of Representatives be reapportioned among the states every 10 years according to the results of the census. Michigan has been losing political clout in the House for decades and remains on track to lose another seat because the state's population is growing slowly compared with other states. Michigan would go from having 14 representatives in the U.S. House to 13 — down from 19 representatives in 1970. It's unclear which district would be dissolved, though several observers suggested it will probably come out of southeast Michigan because that's where the most districts and people are clustered. Southeast Michigan also lost a seat in both 2000 and 2010 after redistricting, forcing political battles each time in a new consolidated district. Democratic U.S. Reps. Hansen Clarke of Detroit and Gary Peters of Bloomfield Township faced off in 2012, and Democratic U.S. Reps. John Dingell of Dearborn and Lynn Rivers of Ann Arbor battled in 2002. Republicans were in charge of the last two redistricting cycles in Michigan. When partisans look at a map to eliminate a district, it tends to be a political calculation to take a seat from the rival party, said Dave Daley, author of the 2016 book, "Ratf**ked: The True Story Behind the Secret Plan to Steal America’s Democracy." "It remains to be seen where that district would come from in 2022, especially if you're starting over," Daley said. "Members of the commission have free rein to start a map from scratch without regard for incumbency or partisan advantage, which is an amazing opportunity if you're interested in fairer representation." Political districts in Michigan are supposed to be more "geographically compact and contiguous" under new criteria adopted by voters this month in a ballot measure. The new maps also shall not provide "disproportionate advantage" to political parties or candidates. "Given that we're going to have this independent redistricting commission, I would guess it won't be an overtly political act of targeting a Republican or Democratic district," said Eric Lupher, president of the nonpartisan Citizens Research Council of Michigan. Lupher also anticipates the redistricted maps won't resemble the "classic" gerrymander of the S-shaped 14th District or the "backward question mark" shape of the 11th District. A report by his group this year found Michigan's political maps failed several advanced tests of partisan neutrality. Also, email correspondence released this year as part of federal litigation over gerrymandering showed Michigan party officials in 2011 attempted to diminish voters of the rival party (Democrats) by "cracking and packing" them into a smaller number of winnable districts. Republicans who drew the current boundaries have argued that existing laws already limit manipulation. They also say the new commission would allow Democrats to gain an advantage under the guise of nonpartisanship after failing to win races at the ballot box. Lupher expects Michigan will retain two majority African-American congressional districts among its 13 districts in 2022 to comply with the federal Voting Rights Act. That law prohibits states from dividing minority groups or packing them in larger communities to dilute their voting power, he said. Daley drove the entire boundary line of Michigan's snaking 14th District for his book. The district winds from Pontiac in the north, Farmington Hills to the west, Detroit to the south and captures the Grosse Pointes in the east. "I started at 8 in the morning and went until 10 at night. It was a long day of driving some of the most impoverished neighborhoods in the country," Daley said. The 14th District was designed to "pack" as many Democrats into as few congressional districts as possible, Daley said, thereby "bleaching" the surrounding districts to maximize the number of white people likely to elect Republicans. "There were times on my tour where I could take four left turns and come in and out of the 14th District three different times and watch the property values go from a half-million dollars down to $8,500," Daley said. "If you have a commission doing this, you are less likely to see such surgical shenanigans." Daley acknowledged that Michigan's geography means it won't have 13 or 14 competitive seats for the U.S. House. For example, GOP-leaning parts of the state like the Upper Peninsula and West Michigan are likely to remain "red." "The five to six districts now that surround Detroit would look very different if drawn by a commission and would probably yield more competitive results," Daley said. A commission of citizens will draw the next set of maps after voters in November approved Proposal 2, making Michigan one of five states to strip redistricting authority from politicians this year in efforts to combat partisan gerrymandering. For the first time, the process of redrawing boundaries within the state will be a public one. In the past, deals have been brokered behind closed doors. "It would be nice to have turnover based on voting, rather than turnover based on retirement or death," said demographer Kurt Metzger, the mayor of Pleasant Ridge who hopes to serve on the new commission. "In gerrymandered districts, you win and it's your job for life." Experts predict that Michigan's new maps — drawn under a mandate to keep communities together — will have more geographically compact districts and lead to more competitive races. Critics have argued that the commission could see runaway costs and fear its structure gives too much oversight to a partisan secretary of state, who is set to be Democrat Jocelyn Benson in 2021. But the ballot measure drew support from both Republican and Democratic parts of the state, passing with over 61 percent of the vote. "It's a strong reform. ... People are really excited about this nationally just because no one thought you could never get anything like this done in Michigan," said Michael Li, senior redistricting counsel at the Brennan Center for Justice at the NYU School of Law. "This is a wake-up call for a lot of the country that there's a lot of citizen energy around this and a desire to make the system better, including in some unexpected places." The fall midterm elections demonstrated that that commission- and court-drawn seats are often more competitive, compared with those drawn by single-party legislatures, Li said. More than 70 percent of the U.S. House seats won by Democrats and all of the House seats picked up by Republicans on Nov. 6 were in districts drawn either by commissions or courts, he said. "When you keep communities together, if there's a move toward one party or another, that can manifest itself in electoral outcomes," Li said. Michigan saw two exceptions to this trend with the election of Oakland County Democrats Elissa Slotkin of Holly and Haley Stevens of Rochester Hills in districts drawn by the Republican-led state Legislature in 2011. Studies of California's redistricting effort also suggest that commission-drawn maps enable more women, people of color and younger candidates to run, despite not always having access to "big money," Li said. That's because congressional districts that are more community-based may overlap with local political boundaries where such candidates could benefit from name recognition and more centralized campaigns, he said. Metzger, who founded the firm Data Driven Detroit, said more competitive districts could produce stronger candidates from both parties who provide more discussion of the issues in Michigan. "Now, people sit home and say, 'Oh, well, we know what's going to happen,'" Metzger said. "The more competitive elections you have, the greater chance you have of people coming out and generating excitement, thinking they have a chance to make a difference by voting." A lame duck bill addressing the selection process for the state’s newly adopted citizens redistricting commission has the initiative’s backers crying foul. The proposal by Republican Sen. Phil Pavlov of St. Clair details rules and procedures for the selection of the commission, items already outlined in the Proposal 2’s language and, to some degree, left up to the discretion of incoming Secretary of State Jocelyn Benson. Another set of bills introduced by GOP Sen. Mike Kowall of White Lake the same day clarify some rules surrounding items approved in Proposal 3, such as same day voter registration and no-reason absentee voting. The bills arrived on the Senate floor amid furor over other GOP-introduced proposed changes to Proposal 1, which legalized recreational marijuana, and changes to petition-driven initiatives dealing with minimum wage and paid sick leave. The GOP Senate majority maintains the bills addressing the redistricting commission and voters rights are “enabling legislation” that clarify new responsibilities for Benson, a Democrat who takes office Jan. 1. But the ballot committee that spearheaded the ballot initiative, Voters Not Politicians, argued the bill would “interfere with the voice of Michigan voters” who supported the initiative in November. “Given past activities by the legislature this week, we expect this bill may only be a shell and that lawmakers will use (it) to alter the fair, impartial and independent nature of the commission that was overwhelmingly approved by voters,” said Katie Fahey, executive director for Voters Not Politicians. Pavlov was not available for comment. The legislation implements statutory changes that allow the proposals to be “properly executed” according to the “intent that voters had when they passed them,” said Amber McCann, a spokeswoman for GOP Senate Majority Leader Arlan Meekhof of West Olive. “It’s not to alter, because that would require us to have a super majority in both chambers,” McCann said. Changing a voter-adopted initiative requires the support of three-quarters of both the House and Senate. The redistricting ballot initiative calls for a 13-member commission made up of four self-identified Republicans, four Democrats and five people not affiliated with any party. The selection of the commissioners would fall to the secretary of state, who would solicit applications, process them and randomly select members. The House and Senate majority and minority leaders would have the option of vetoing up to five applicants each before the secretary of state makes the final random selections. The constitutional amendment prohibits a wide swath of applicants from being selected, including individuals who in the past six years were candidates, elected officials, consultants to a political party, employees of the Legislature or registered lobbyists. It also bans close relatives of those individuals. Pavlov’s bill calls for the secretary of state to promulgate rules regarding the application process for commissioners, including how applicants would attest to their political affiliation. The bill identifies a person’s party affiliation based on whether they’ve done anything to further the purpose of a party, if they’re a member of the party, if they contributed to the party within six years or if they swear an oath attesting affiliation to a certain party or as an independent. The bill would fine people for lying about their political affiliation. The bill also requires the secretary of state to make applications available online, in all secretary of state offices and through the mail to people selected from a pool of all registered Michigan voters. The legislation would bar a politically affiliated person from providing services, including legal and accounting, to the commission. The bill has been referred to the Senate government operations committee, which is chaired by Meekhof and meets on Tuesdays.